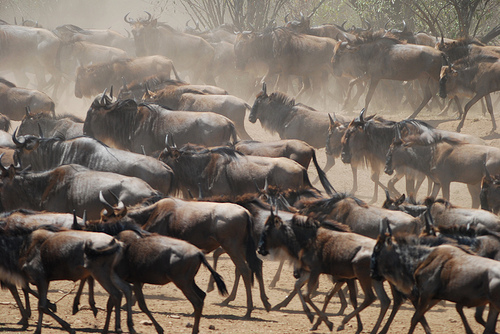 It’s the Great Migration time again at the Porini Lion Camp in the Masai Mara. This is the time of year when several hundred wildebeest start crossing the Mara River. Many wildebeest and zebra will also cross the Sand River while more spill into the Mara Triangle from the Serengeti across the border in Tanzania. It may take days, weeks or even another month before we see the last of the Wildebeest make their way down towards the river in an attempt at the crossing. Do not miss out on the opportunity to witness this wonder. We still have limited availability for the migration period so don’t miss out and book a safari to witness this amazing spectacle. World Discovery’s Maasai Safari includes 3 nights in the Porini Lion Camp.